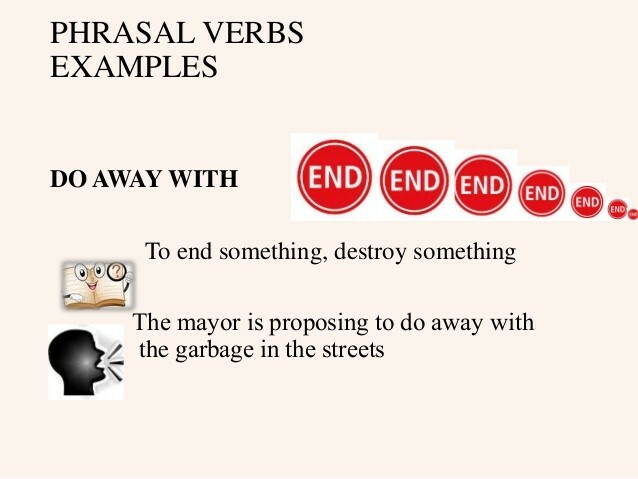 Phrasal verbs are a combination of a verb and preposition, a verb, and an adverb. They are also known as ‘compound verb’. For e.g. - Don’t put me off, I am trying my best. There are many phrasal verbs which we use in our day to day communication. In today’s blog, we will explain phrasal verbs using the word “do”. 1. Do up: make something look good. I will help you to do up your hair. You should try doing up something new in your life. My mom always asks me to do out my bookshelf once in a week. His room is such a mess. He needs to do out his room. She had to do over the homework because she forgot to bring her bag. The teacher told everyone to do over the same sum 5 times. Nowadays, people cannot do without a mobile. One must do without the luxurious life in order to understand the value of the basic necessities. They are doing up a new house. The do up of the house was very expensive for us. I think I would do with sandwich for now as I am not that hungry. The man asked us whether we could do with a cup of coffee. My mother always advises me to work hard to do well for in future. To do well for is not an easy task, it requires a lot of determination and hard work. We should always try to do good for others. God always does good to people who do good to others. Huge losses on the stock market did many investors in. We should do away with the habit of eating junk food. The doctor told her to do away with rice so that she can lose some weight. These are some phrasal verbs using do. Isn’t it amazing? You can also try to use these phrasal verbs in your day to day life and learn English speaking. This can surely improve our way of speaking English. 5. How to describe your day with phrasal verbs?